UNIVERSAL MUSIC’S DEVRAJ SANYAL INVITED AS JURY FOR `ALOFT STAR ASIA PACIFIC 2018’ GRAND FINALE TO PICK ASIA’S FINEST! Aloft Star Asia Pacific 2018, a talent project which is set to pick the most promising music talent from around the world has bought on board Devraj Sanyal, Managing Director and CEO, Universal Music Group, India &South Asia, as a key member of the jury for the finale which will take place in Seoul, Korea on 20th September 2018. It will now be a four member jury which comprises of Mr. Devraj Sanyal along with SAAY who is a 24 year old Korean R&B singer-songwriter, Mr. Alex Dyson, a renowned Australian music industry personality and Ms. Shu Ping Liang, Marriott International’s brand leader for the Select Service brands in Asia Pacific – Courtyard by Marriott, Four Points by Sheraton, Fairfield by Marriott, Aloft Hotels, Element, Moxy and AC Hotels. 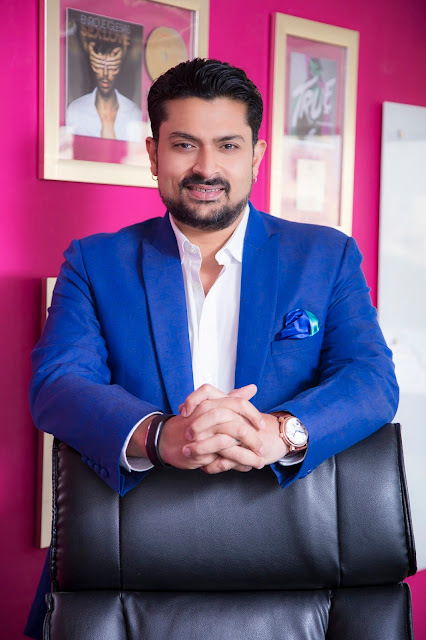 Says Devraj Sanyal, “Being part of the jury on `The Stage’, I’ve seen some incredibly good talent in India, however, I’m super excited now to be part of `Aloft Star Asia Pacific’ which brings out the best of Asia! I’m looking forward to meeting the finalists and know more about their musical journey to this point. This competition is such a brilliant format that brings out the best of Asia and I just can’t wait to see them battle it out in Seoul and then to announce the winner along with my co-judges”. The judges will be evaluating the contestants on showmanship and stage presence, technical skill, “WOW” factor, creativity and originality, international appeal, along with original song writing and music composition. Aloft Star Asia Pacific is a competition spearheaded by Aloft Hotels in partnership with Universal Music Group.